All the Sweet Things and Cookies! 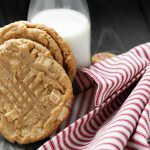 Delicious Peanut Butter and White Chocolate Cookies, from the pages of the wonderful new cookbook All The Sweet Things, from Renée Kohlman. I have only met a few of my fellow foodbloggers “in real life”, but Renée Kohlman is one of them. Renée and I participated together in a Canadian food blogger tour of the Pacific Northwest fruit orchards a couple of years ago. 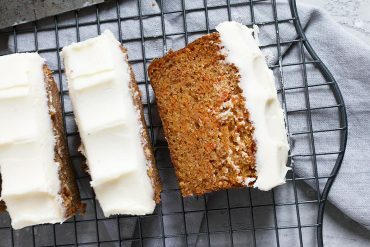 It was wonderful to meet her, as I was already a fan of her blog, sweetsugarbean and I quickly learned that she is as sweet as her baking :) So needless to say, I couldn’t be happier for her or more honoured to have the opportunity to introduce and share her brand new cookbook with all of you! Disclosure: I was not compensated in any way for promotion of this cookbook. I did receive a digital media copy of the cookbook for review purposes. All opinions here are my own. 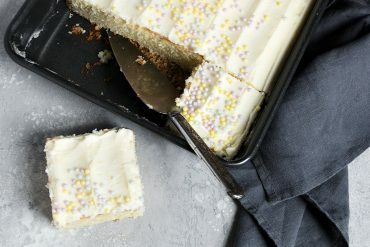 If you are already familiar with Renée’s blog – sweetsugarbean.com – you know she has a love for baking, a flair for writing and talent for photography. So it will come as no surprise to find her debut cookbook is just jam-packed with recipes for delicious desserts and wholesome baked goods, engaging personal stories and stunning food photography. 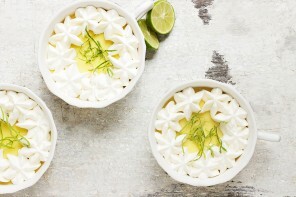 My fellow foodbloggers might be interested to know that Renée shot all of her cookbook’s photos with just her iPhone! Her style is instantly recognizable – homey, classic, comforting and with a touch of vintage style. The photos match perfectly with the collection of recipes she has included in her cookbook. 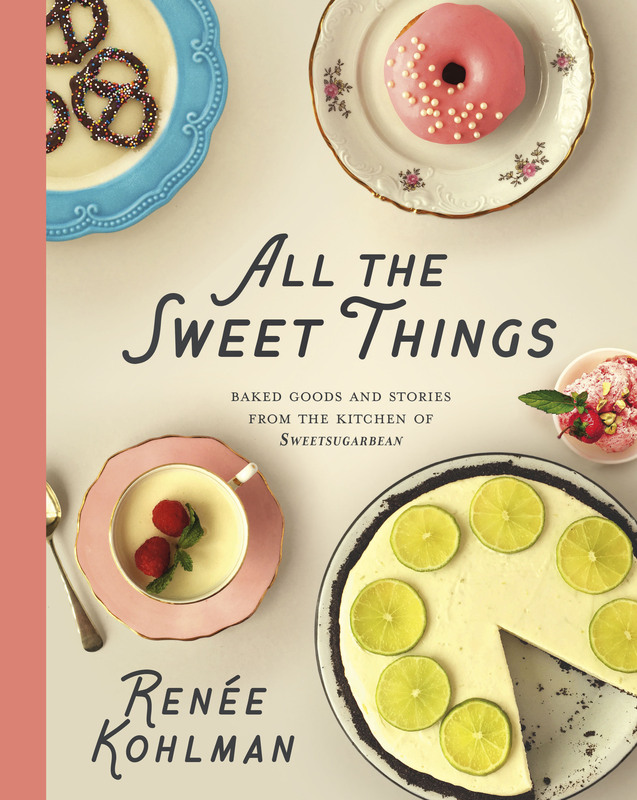 Living in the heart of the Canadian Prairies, in Saskatoon, Saskatchewan, Renée brings a down home Canada voice to her recipes, but her culinary training and pastry chef background is always evident, with the quality and creativity of the recipes. 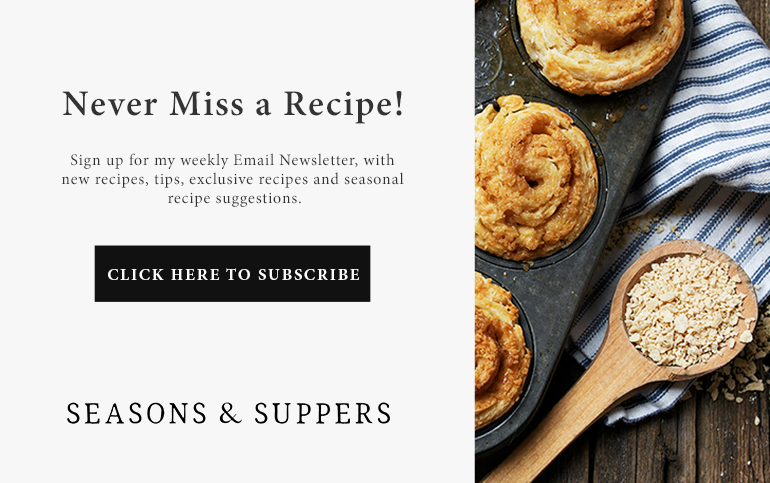 Each recipe includes wonderful headnotes, with tips and tricks for each recipe, written in an approachable and useful way. I’ve included Renée’s headnotes for the recipe below, so you can see what I mean. Each of the recipes you’ll find in this cookbook is the kind you can see yourself making throughout the year, whether it’s sweet treats to enjoy or gift for the holidays, killer squares for a bake sale or delicious creative ice cream flavours to get you through the summer. Then there’s the doughnuts and an homage to “small town Saturday nights” in Canada, that always seem to end at Tim Hortons for a doughnut (mainly because in small town Canada, the Tim Hortons is the only thing open :). I absolutely loved this cookbook and have already bought a copy to add to my cookbook collection! The classic and creative collection of recipes is a must-have addition for anyone who enjoys sweets and baking. This is even more true for my Canadian baking friends, who will love this truly Canadian voice that runs through it’s pages. If you’d like to add this wonderful cookbook to your collection too, you can buy it on Renée’s blog here. I don’t have much to add beyond Renée’s great headnotes which I’ve included with the recipe below. I baked a half-batch of these cookies, because too many delicious cookies in my presence is a dangerous thing ;) That said, do note Renée’s suggestion for baking some off and freezing the rest of the dough in portions. A great idea! As written, the cookies are nice and big (just how I like them :) and they do spread a lot, so be sure to follow Renée’s instructions to space them well. My (1/4 cup) cookies took 10 minutes in my oven. I would be remiss to not include a recipe for peanut butter cookies in a cookbook that is about sweet things. I know many people whose favourite cookie in the whole world is peanut butter. This cookie is for you! I’ve switched things up a bit and added chunks of white chocolate and roasted peanuts, just because I love the texture and flavour combo. You can use either natural peanut butter (smooth or crunchy—you choose) or the stuff you don’t have to keep in the refrigerator. Both yield excellent results, though I do prefer the natural peanut butter as it doesn’t have any wonky ingredients. 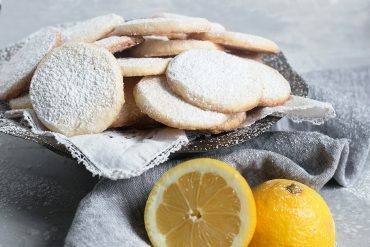 Either way, these cookies are delicious and crowd-pleasing, especially with that little sprinkling of flaky salt. Keep in mind that if you like cookies with soft, chewy centres, you should take them out of the oven just when they are set and light brown around the edges. They’ll continue to cook for a bit on the baking sheet. For this reason, it’s important to set your timer! In a stand mixer fitted with a paddle attachment, cream the butter with the peanut butter and both sugars. Beat on high speed for 2 minutes, scraping down the sides of the bowl once or twice. Add the eggs, milk and vanilla and beat on high for another 2 minutes, until light and fluffy, scraping the sides and bottom of the bowl once or twice again. Place the flour, baking soda, baking powder and salt in a medium bowl. Stir well. Add this to the butter mixture and mix on low speed just until combined, scraping the sides and bottom of the bowl. Stir in the white chocolate and peanuts by hand, just until the dough is smooth and incorporated. Cover the bowl with plastic wrap and chill for 30 minutes. Preheat the oven to 350°F. Place the rack in the centre of the oven. Line 2 baking sheets with parchment paper. Use an ice cream scoop (mine is about 1/4 cup in volume) to portion out the cookies. Place them about 3 inches apart on the prepared baking sheets. Flatten the cookies with your hand, so they are about 1/2 an inch high. Use a fork to lightly make a cross-hatch pattern on top of the cookies. Sprinkle with flaky salt. Bake 1 baking sheet at a time for 8–10 minutes, until the middle is set and the edges are lightly browned. Remove the pan from the oven and let the cookies cool completely on the pan on a wire rack. Keep the cookies in an airtight container on the counter for up to 2 days, or freeze for up to 1 month. If you want to bake 1 dozen cookies and freeze the rest of the dough, you can do so by scooping cookie dough balls onto a parchment-lined baking sheet and putting them in the freezer until frozen solid. 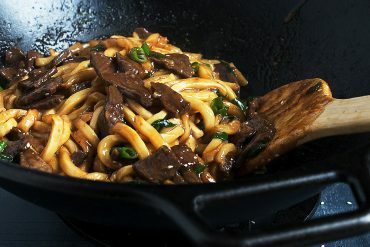 Afterwards, portion them into resealable freezer bags and keep them in the freezer for up to 1 month. When it’s time to bake, place them on a parchment-lined baking sheet, let them thaw completely, then bake as above. I would start with peanut butter cookies, too! So nostalgic, right? I can’t believe she takes her photos using an iPhone! That is impressive! I can’t wait to take a peak at her blog and her cookbook! 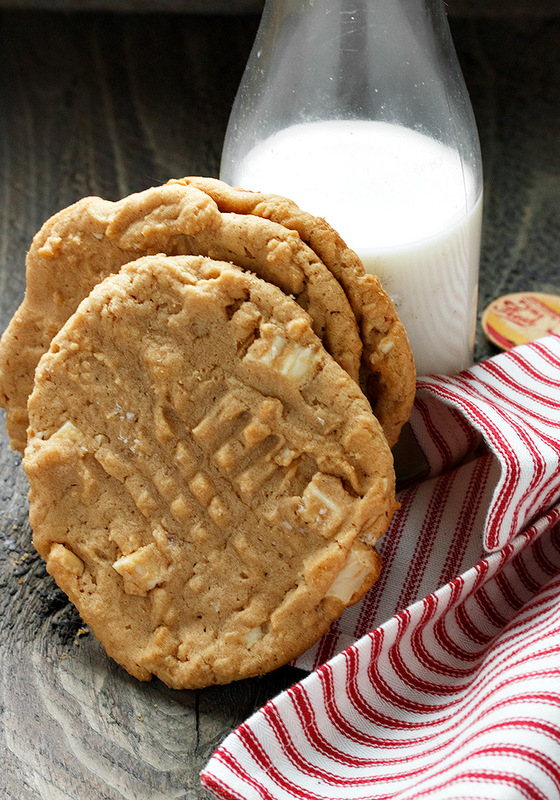 Peanut butter cookies are one of my favorites Jennifer! Love the added chocolate chunks. Renee’s cookbook sounds wonderful! Also, I just made peanut butter cookies! But thinking of making more now! Yes, I think a lot of people can, Cathleen :) And these are worth making more! 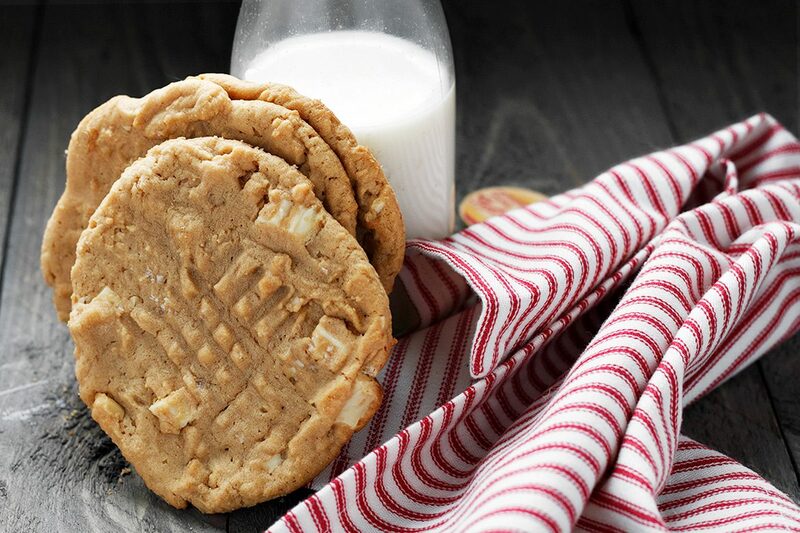 Peanut butter cookies are definitely on the top of the list for cookies for me! That recipe book sounds like something I have to check out (love collecting them) along with Sweet Sugar Bean blog – thanks for that ;) And shot with an iPhone? That’s amazing!! Cheers to a great weekend, Jennifer! Mine too, Dawn :) Never met a peanut butter cookie I didn’t love! Have a great weekend, too. These do appear quite dangerous, indeed! 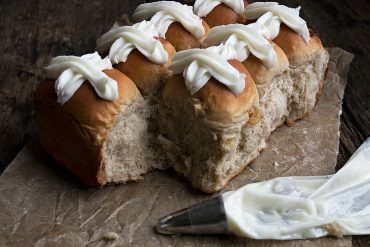 I love how crisp and decadent they look! The perfect partner for a tall glass of cold milk! I think this is the week of peanut butter or maybe it’s just on my mind…a lot! 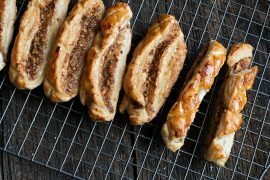 These sound incredible and always love the idea of saving some for later in the freezer for additional snacking at a later date. 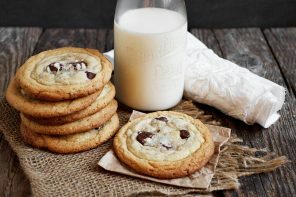 Thanks Cindy, these were delicious and I love the idea of freezing dough for a cookie anytime! These cookies look amazing, and I don’t think I’ve ever had pb and white chocolate ~ that’s about to change!! You are Here: Home » Sweets » All the Sweet Things and Cookies!